Web2Go offers an innovative and exciting cloud solution Johannesburg Exchange Email server for our clients. With Cloud Exchange all your emails are stored in the cloud, so no matter what happens in your everyday life, such as if your computer crashes, your emails will always be there. Plus you can synchronise your emails on your computer with your mobile phone. Every email that is sent from your mobile phone will also appear the next time you switch on your computer. That’s right, you’ll be able to view the sent emails too, on both platforms; because it is all stored in the cloud. You will also have your own Webmail access and Spam Quarantine Function for those pesky spam messages that fill up your inbox. Every email that is sent from your mobile phone will also appear the next time you switch on your computer. Your calendar will synchronise too. When you create an appointment in Outlook on your computer, that appointment will synchronise with your mobile phone and it will appear on your mobile phone’s calendar. In addition, we want to ensure that you have enough storage space for all your emails, so we’re giving you 20 GB of space per email account. Don’t let a PC crash, crush your day. Many people forget to back up the information on their PC’s thinking that their PC will never crash. It is always safest to assume that your PC will crash and ensure that you have a backup system in place so that you don’t lose any information. For a business, this is essential. If you lose customer orders or information it could set your business back and you would have to spend days or, possibly, even months to recover the data that you lost. But don’t fret. Web2Go is here! 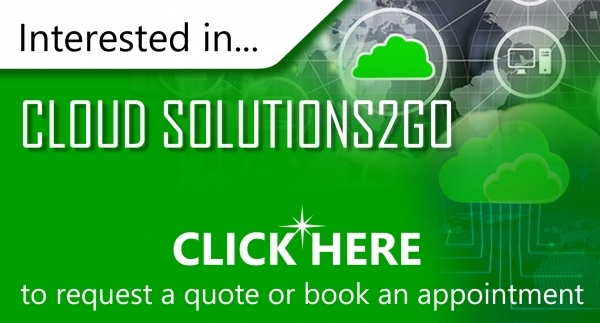 Web2go has an easy and seamless cloud solution Johanesburg for your backups. We set up a PC/Server cloud backup that loads your PC information and data to a safe remote server. In the event of your PC crashing, you can simply retrieve the information and data from the server and load it onto your new PC. The information is backed up safely and securely on the cloud server so you don’t have to worry about it. Backing up all your data is extremely important in the corporate world. You never know when you will need to show a potential client a large folder with your portfolio or all your documents that take up a lot of space on your computer. Emailing back and forth with a client could be a tedious activity especially when it comes to small projects that just need to be approved. Sharing projects on a shared server makes life easier for both parties and saves you a lot of time. Why use a shared server?